I would love to write a summary of eggplant cultivation, because I don’t want to bore you with unnecessary details. If you’ve decided to grow eggplant in the garden, it’s good to know that they need a warm climate with beautiful spring and hot summers, a rich, nutritious, fertile soil with a neutral pH. It doesn’t adapt to compact land. The eggplant can be considered as a plant of renewal, that is, the vegetable with which a new crop is started. It is seeded at the end of winter in heated heaths using about 2 grams of seed per square meter of seedlings. I always write about the production of seedlings in alveolar trays on a professional peat substrate, it is also true for the cultivation of eggplants; is an easy and effective method for producing organic seedlings (seedlings generalities). 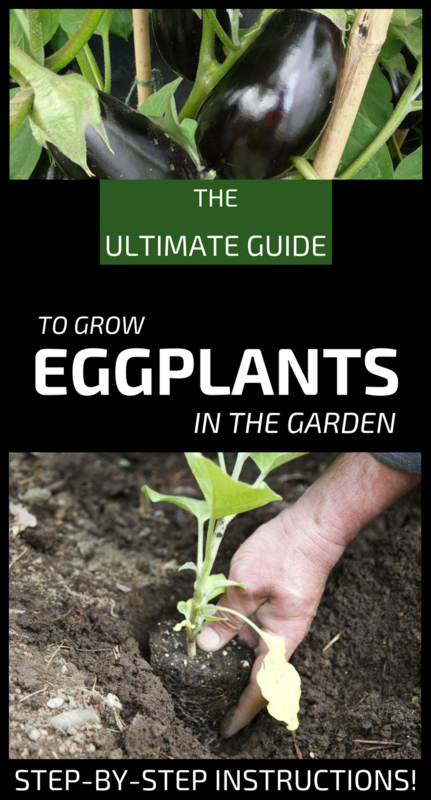 After 8-10 weeks of sowing, eggplants can be planted in the garden at a distance of 35-40 inches between plants per line and 70 centimeters between rows. Rowling is done in the first half of May, when the danger of late burrows has passed. The eggplant prefers temperatures between 80 degrees during the day and 64 degrees during the night. It loves sunny positions and needs daily irrigation, especially during the first week after planting, as they grow can be irrigated at 4-5 days. The eggplant cultivation ground is prepared in autumn for about 300 kilograms of manure for 100 square meters, which is incorporated into the soil with deep autumn digging. On small areas in the garden you can delimit small spaces for growing eggplants. These layers can be 1.40 meters across 2.30 meters. The advantage of these small crops is that you can use fertilized, sterilized soil, customized for each crop, maintenance work is easy, crop can be constantly controlled, can be protected if the temperatures are low. An eggplant can produce between 8-10 fruits, which can weigh between 3-5 pounds. The strain of the eggplant, though it becomes woody, can’t support this weight, so immediately after the planting we put the stalks to which the strain is connected with a node in the shape of 8. The intensive cultivation of the eggplants involves the control of the growth; basically you cut the tip of the side branches leaving 2-3 flowers on each twig or a length of about 20 centimeters. When the stem has developed 4-5 branches, the growth is limited by eliminating the growth tip at a height of 45-50 centimeters. When cultivating eggplants cutting the top of the growth and side branches has the effect of developing the fruit and the qualitative increase in production. To eliminate water losses and to avoid the occurrence of weeds, it is possible to cover the soil from the root of the eggplants with a layer of straw or with a polyethylene film (mulch). Eggplant is harvested when the color is intense and glossy and the fruit has elasticity. It is not harvested at full maturity when the fruits are strong and start to have opaque color, in this case the eggplants will have a bitter taste.